That’s a question I’m often asked by friends, family, and co-workers as they stare at my blinking Altair 8800 on the shelf. As it sits with no other input or output devices, I can honestly say “not much”. You can play a game of Kill the Bit, or Pong, or perform some rudimentary binary calculations, but that’s not what the Altair 8800 was designed for. 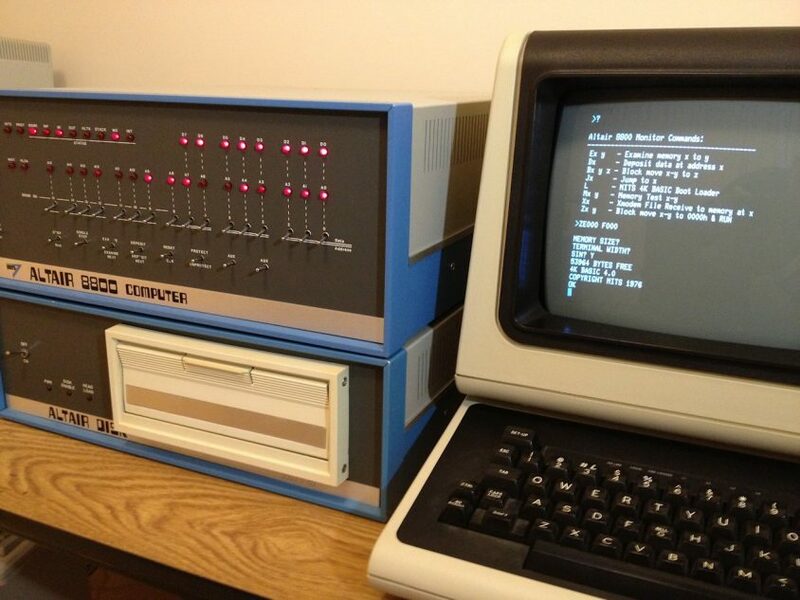 If you combine the Altair 8800 with a standard ASCII video terminal and keyboard, and add a disk drive, it became a very powerful and useful computer system (especially for 1975!) In fact, a fully loaded Altair 8800 was a usable and functional computer well into the mid-80’s. You could run thousands of CP/M software titles (CP/M was the de facto standard operating system before MS-DOS.) You could play hundreds of games, including Colossal Cave Adventure, Star Trek, and Zork (I, II, and III!) You could use it for spreadsheets with Supercalc, databases with dBASE, and word processing with the market leader WordStar. A credible rumor says George R. R. Martin (“Game of Thrones”) still writes using an 80’s version of WordStar. You see, the Altair 8800 was much more than just “blinkenlights“.